Sometimes, it feels like we’ve already reached #PeakPodcast. Chances are every entertainer and comedian you’ve ever heard of has their own show and everyone else is showing up as guests on those podcasts. Hollywood is certainly well aware since we’re already at the point where popular podcasts are getting turned into TV shows. Of course, there’s a flipside to that equation and its one that massive entertainment companies haven’t quite taken advantage of just yet. We’ve seen small operation and one-off episodes here and there, but nothing that’s really popped. As corporations and studios like Disney and Warner Brothers look to monetize their intellectual properties across every conceivable medium, podcasts are one that they hadn’t figure out how to tap just yet. But that might be about to change. Marvel announced Tuesday that they will be introducing their first-ever scripted podcast, Wolverine: The Long Night, to debut exclusively on podcast network Stitcher Premium in Spring 2018. The 10-episode audio drama is a partnership between Marvel and Stitcher that will eventually roll out across other podcast platforms at a later date. 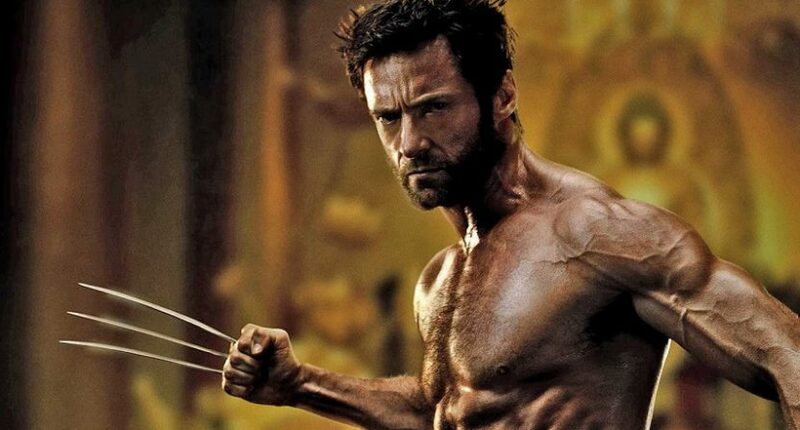 Fans of the adamantium-clawed superhero might be disappointed to learn Hugh Jackman isn’t involved, but that should be meted by the fact that The Hobbit star Richard Armitage will voice Logan, a.k.a. Wolverine. It’s not Armitage’s first foray into the world of superheroes. He had a small part in Captain America: The First Avenger as a spy. He’s also no stranger to voicing iconic characters as he recently voiced Trevor Belmont in the Netflix adaptation of Castlevania. The cast also includes a few other notable names, such as Scott Adsit (30 Rock), Bob Balaban (Moonrise Kingdom), and comedian Chris Gethard. The overall story starts with Sally Pierce (Celia Keenan-Bolger) and Tad Marshall (Ato Essandoh), two special agents who show up in Burns, Alaska to investigate a series of murders. They team up with local deputy Bobby Reid (Andrew Keenan-Bolger) to investigate Logan before things unravel from there. Taking advantage of the mainstream’s understanding of popular podcasts, writer Ben Percy says The Long Night “will blend true crime podcasts like Serial and S-Town with the narrative tricks of True Detective — plus a dash of Clint Eastwood’s Unforgiven.” Percy spoke to Mashable further about the story and why it takes place in the isolated woods of Alaska. What good is a Wolverine story if he’s not grappling with his past somehow? Audio dramas such as this one are a logical progression for entertainment companies looking to make their characters and properties more immersive and completist. While fans have to wait years in between the next movie iteration of their favorite characters, that space can be filled with podcast stories that are much cheaper to produce and easy to distribute. And of course, if a particular podcast series is extremely well-received and popular, you can always take the story and turn it into a TV show or movie, completing the circle. It’s also the shot in the arm that the podcasting industry has been waiting for. The massive appeal of a character like Wolverine is sure to entice fans who haven’t listened to podcasts before and some of them will stick around to find other shows they enjoy. If you were thinking podcasts are already on their way out, it sounds more and more like they’re merely getting started. Especially when it comes to pop culture and iconic properties looking for new ways to tell stories (and make money).